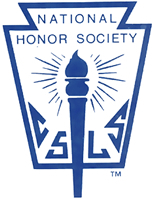 The National Honor Society serves to honor those students who demonstrate scholarship, leadership, service, and character in both the school and community. Students in good standing with at least a 3.5 GPA are invited to submit their credentials for membership. NHS meets every other Monday in room E-4. The president of NHS is Gianna Flora.